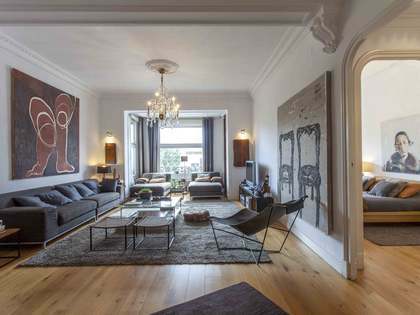 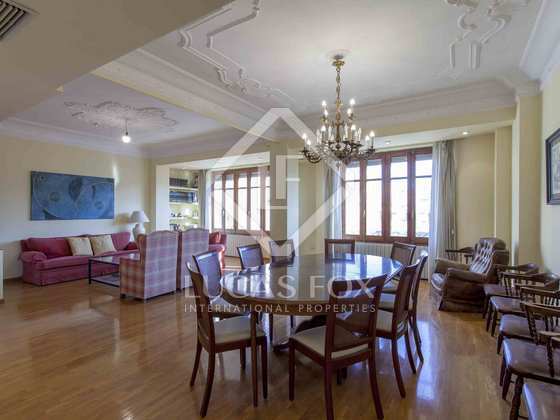 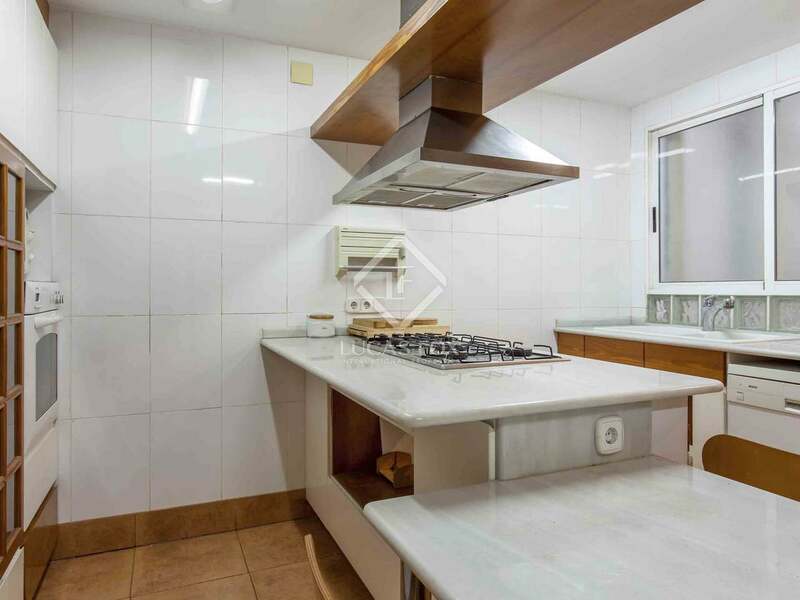 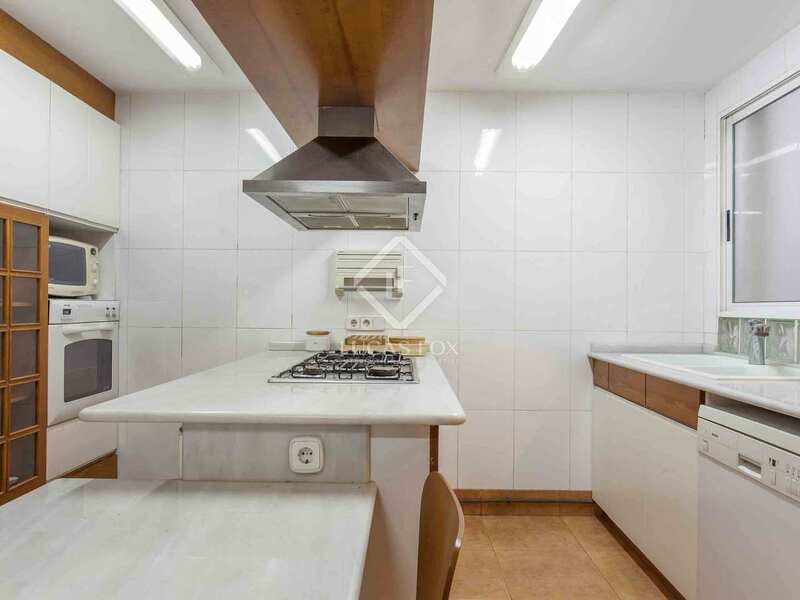 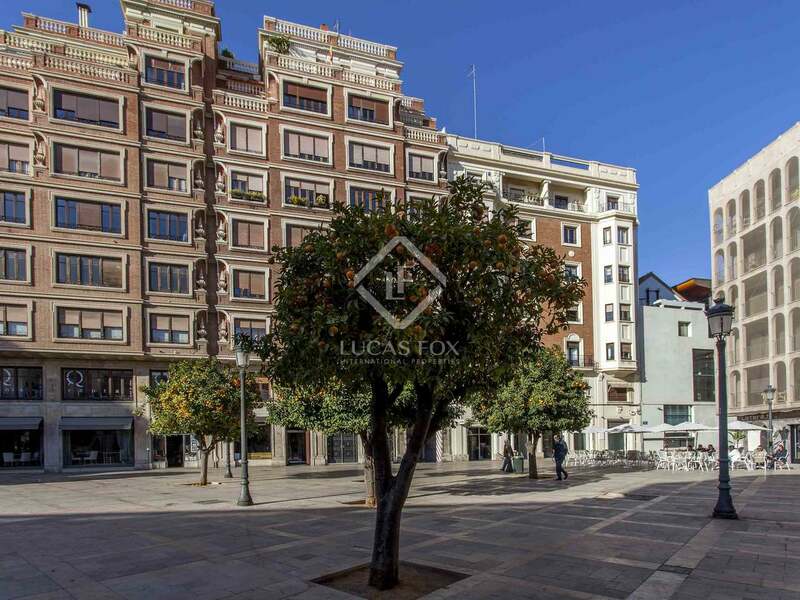 Luxurious apartment with high quality materials and finishes for sale on one of the most beautiful and emblematic squares of Valencia. 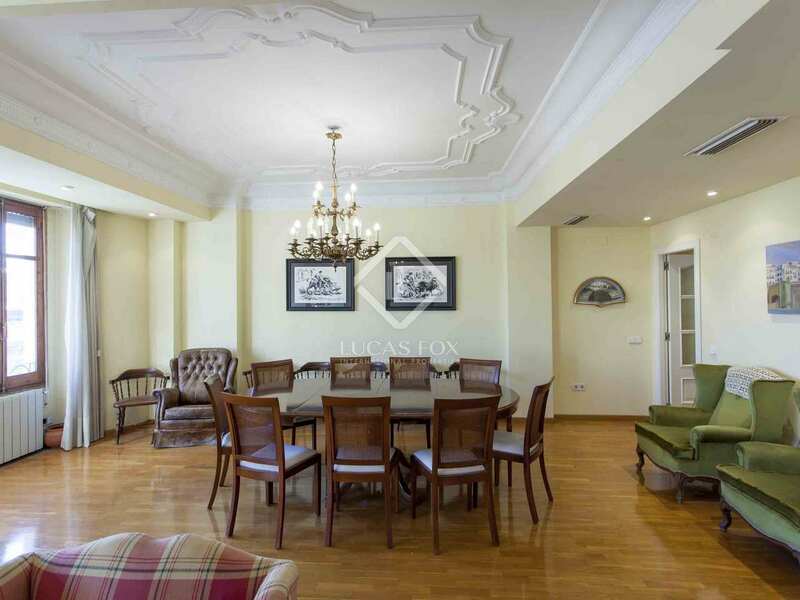 This magnificent home enjoys an enviable location in one of the most emblematic spots of the city; a beautiful, bright and magical place. 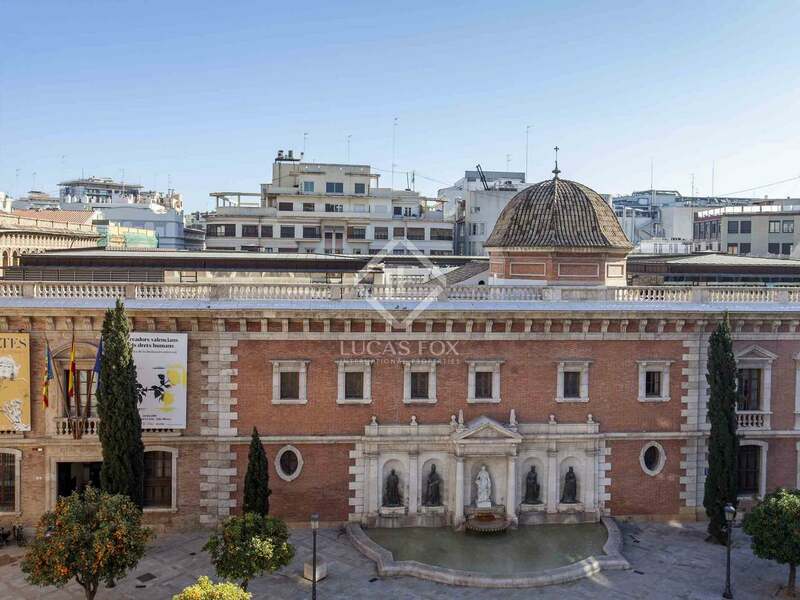 The building where it is located reflects the aesthetics of the square. 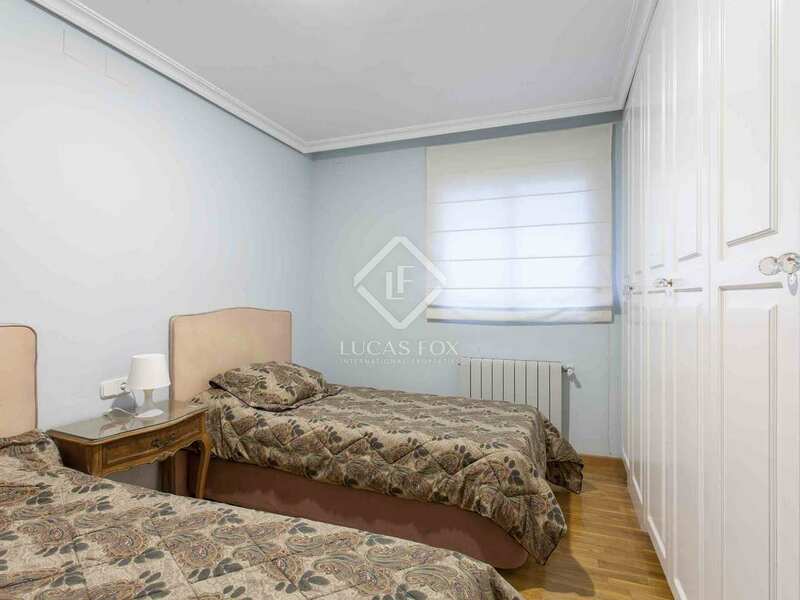 What's more, the apartment is presented in very good condition and stands out for the high quality of its finishes and materials. 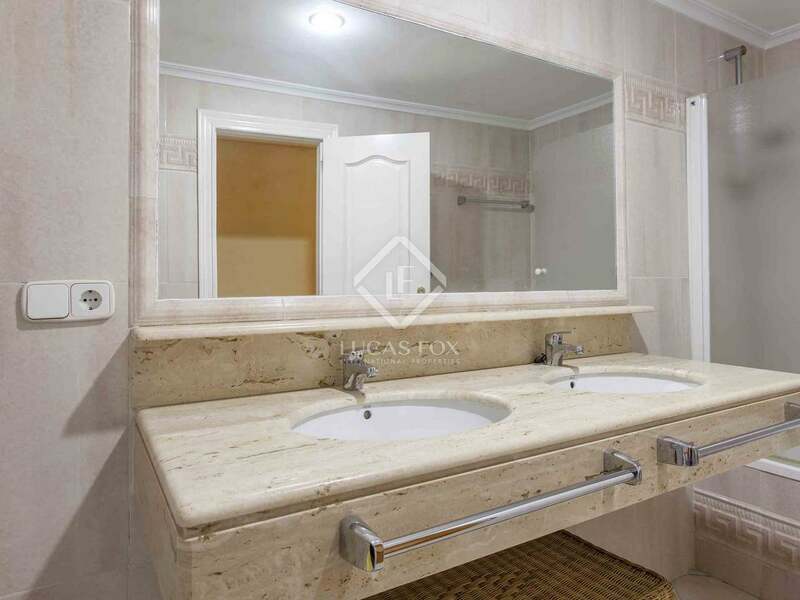 Upon entering the property, it is evident that it is well maintained and finished with high quality materials. 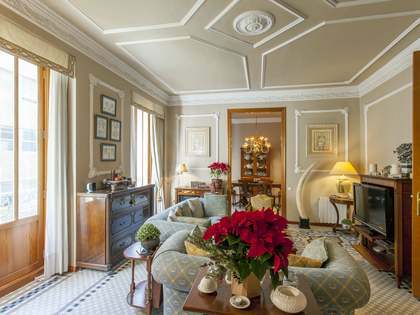 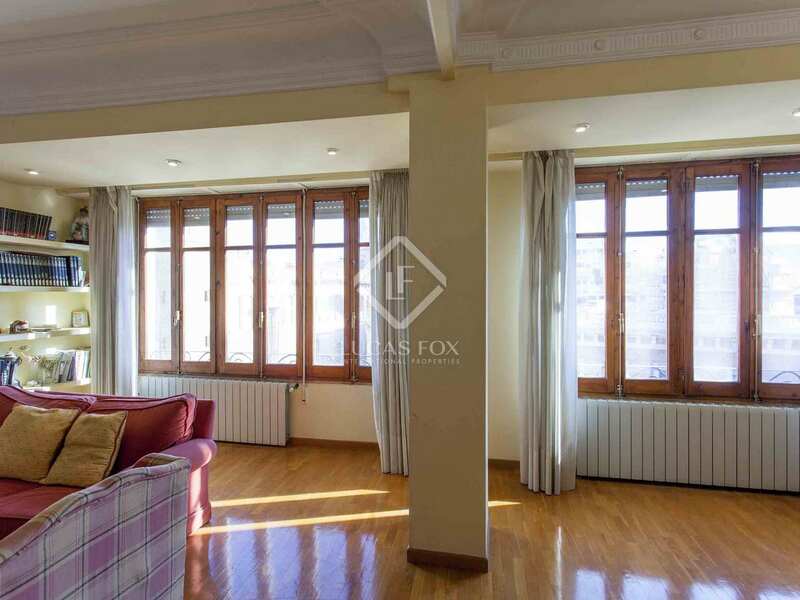 Among its many rooms, we find a stately living room with high ceilings and gorgeous mouldings, which is completely flooded with natural light in the morning thanks to its large windows, which also offer spectacular views. 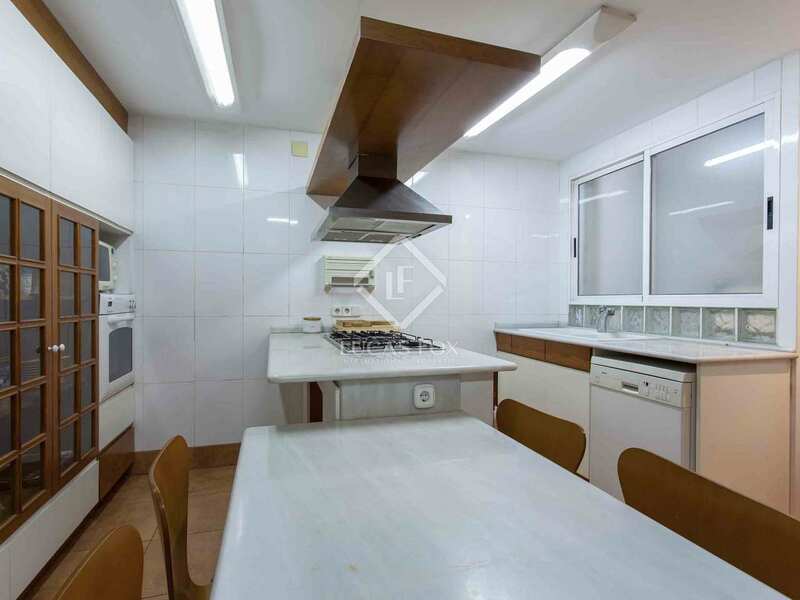 Next, a large landing leads us to a fantastic kitchen with a central island, a large table and a practical laundry area. 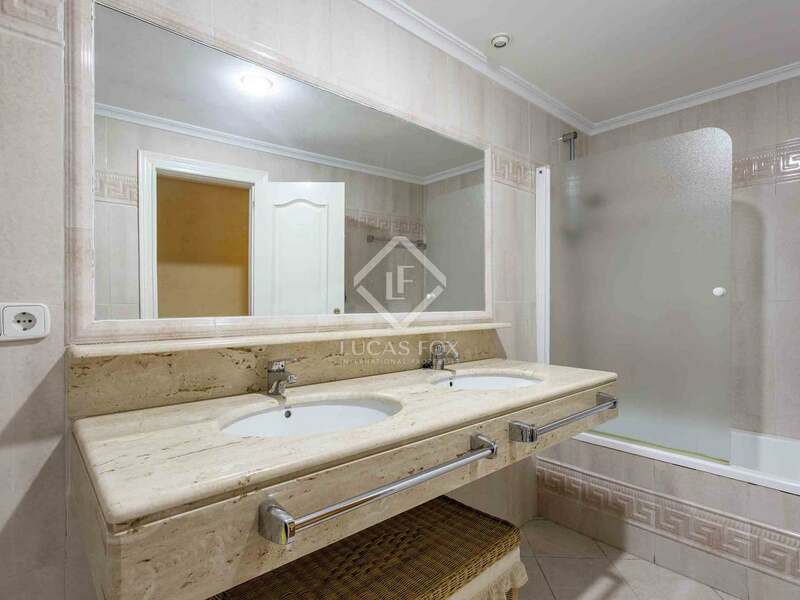 In the night area there are 2 large bedrooms and a bathroom, followed by the master bedroom with its private bathroom, completing this exceptional home. 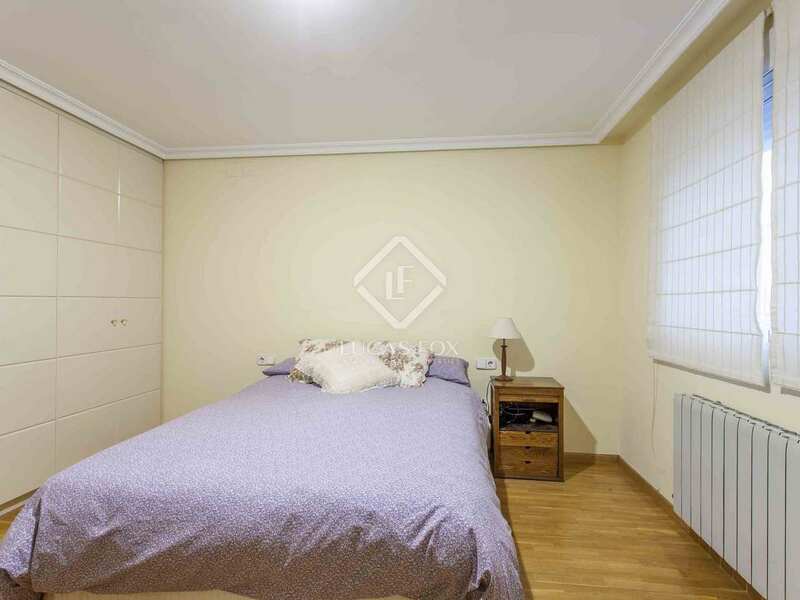 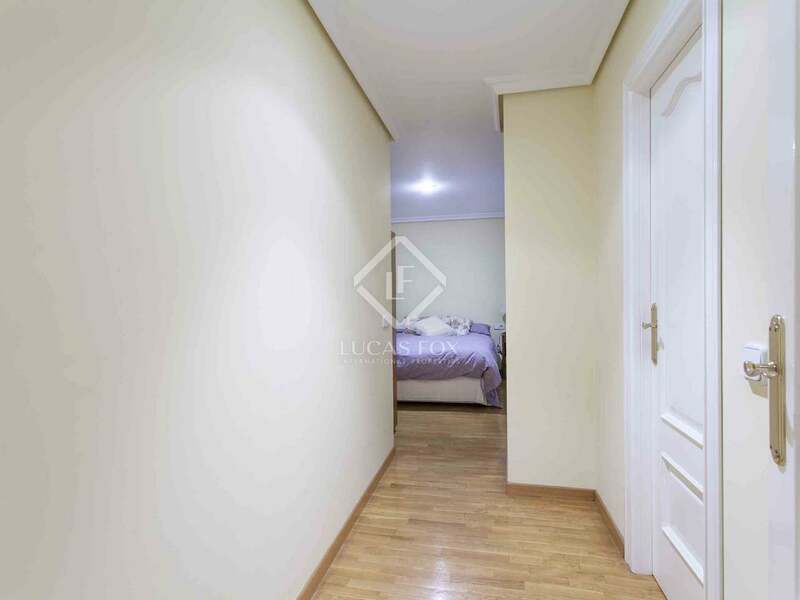 The apartment has wooden floors of excellent quality in most rooms and is equipped with central heating and air conditioning ducts to ensure your comfort at any time of year. 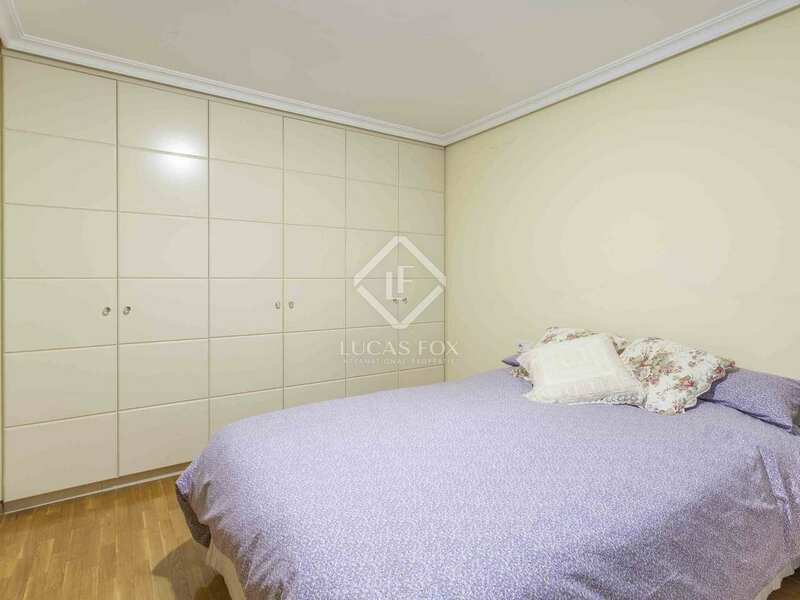 It is also equipped with multiple built-in wardrobes, to make the most of the available storage space. 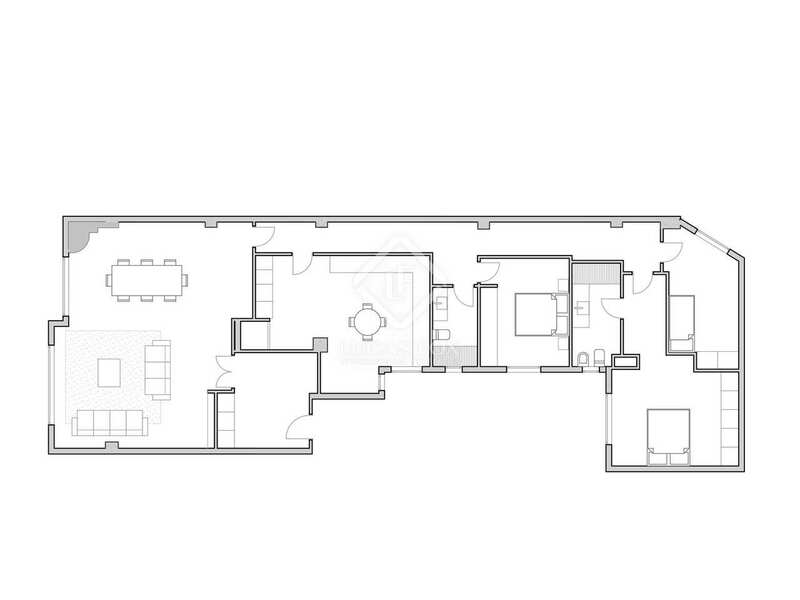 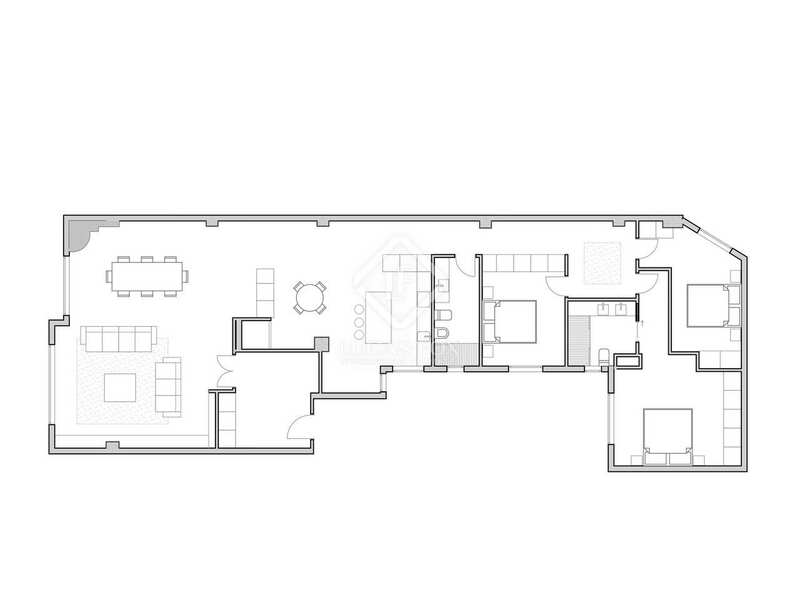 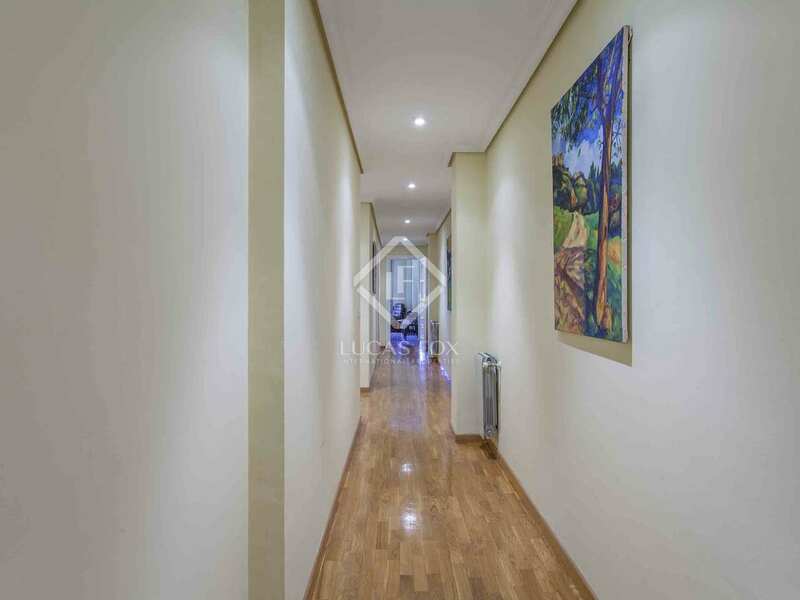 Contact us to visit this unique apartment. 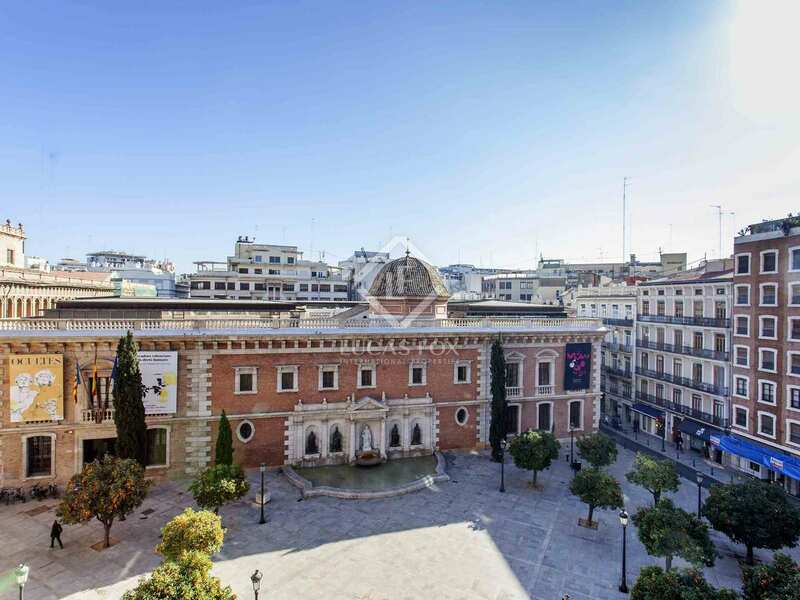 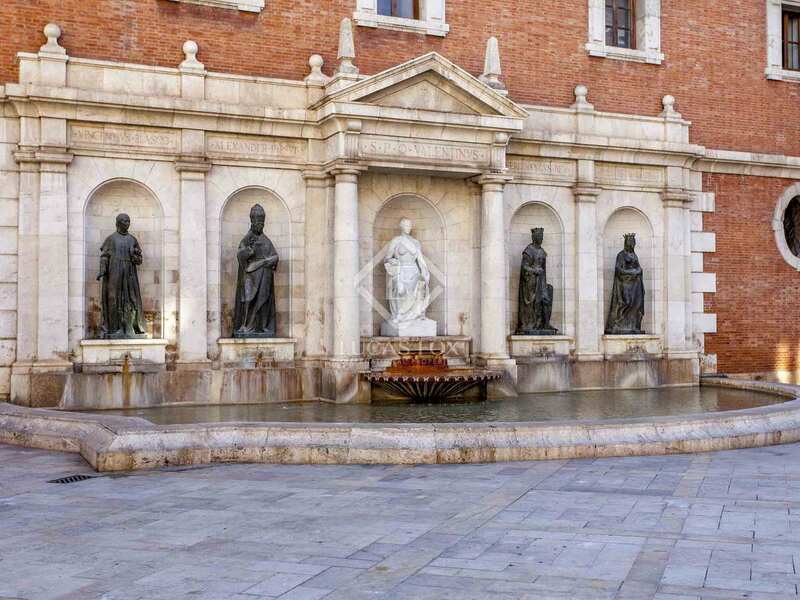 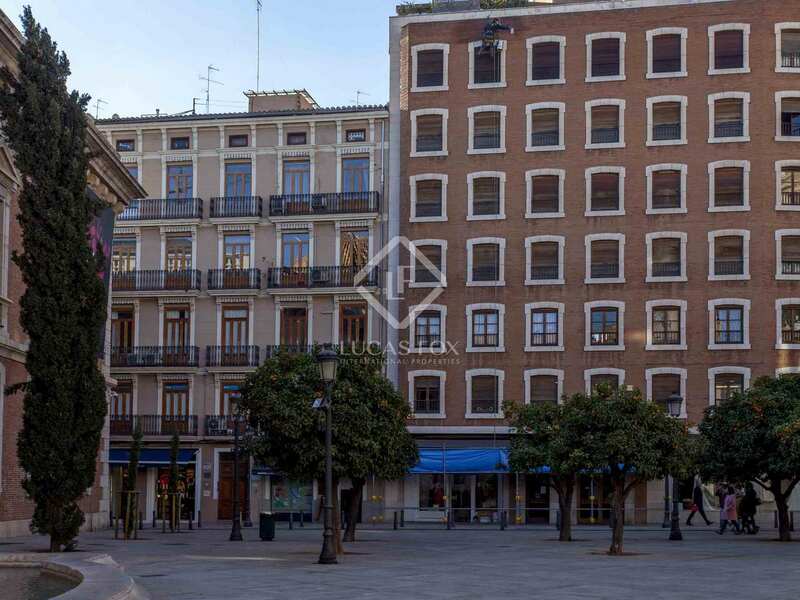 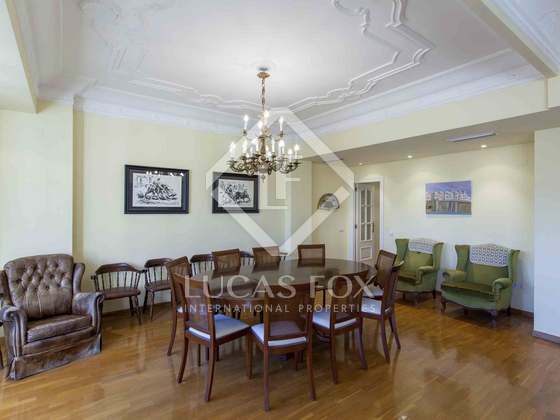 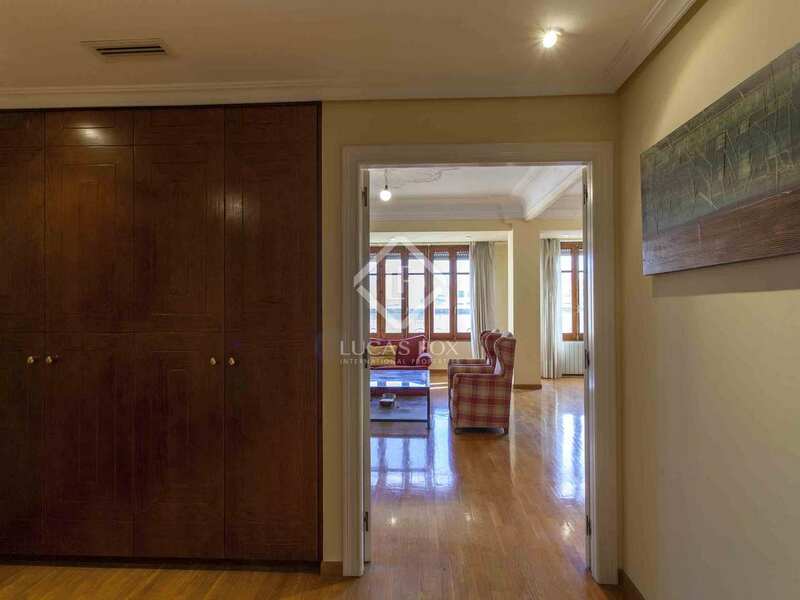 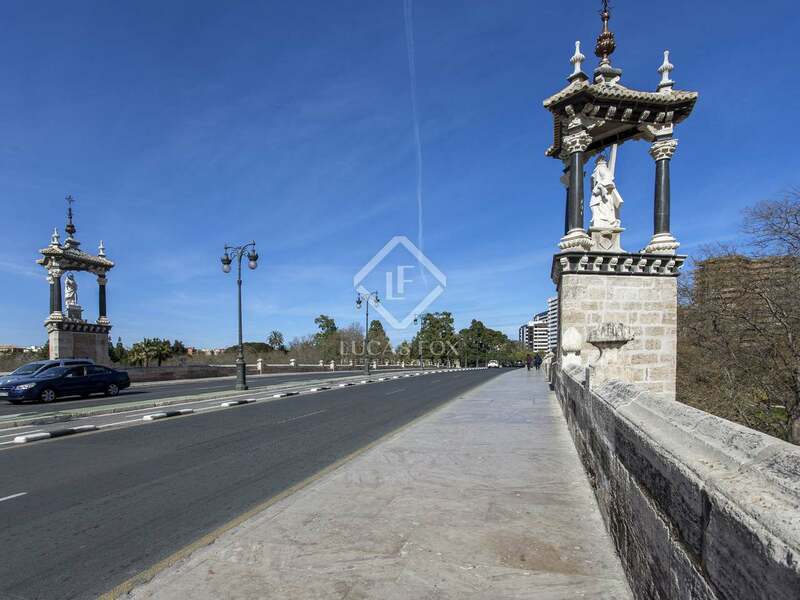 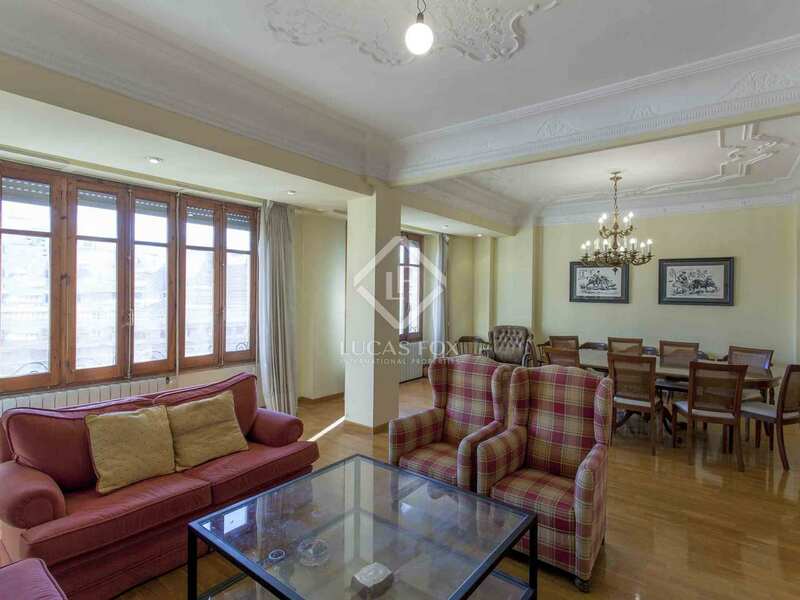 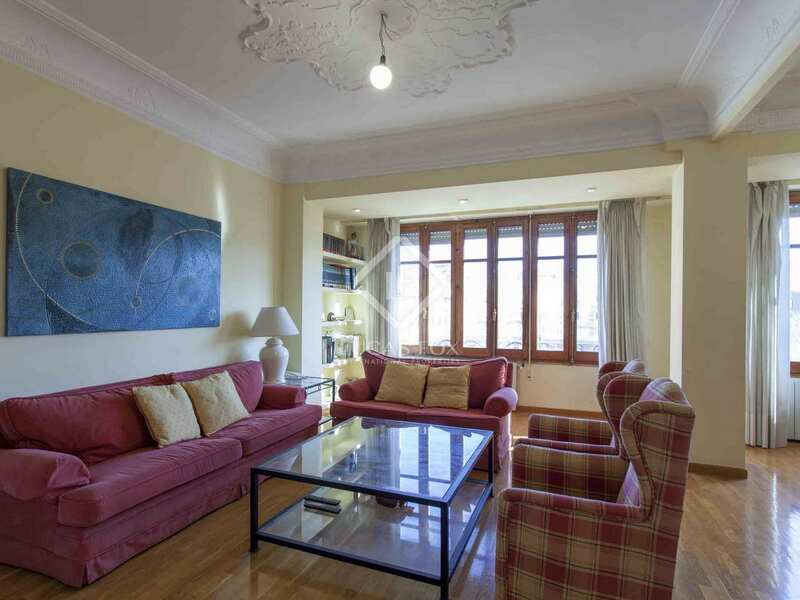 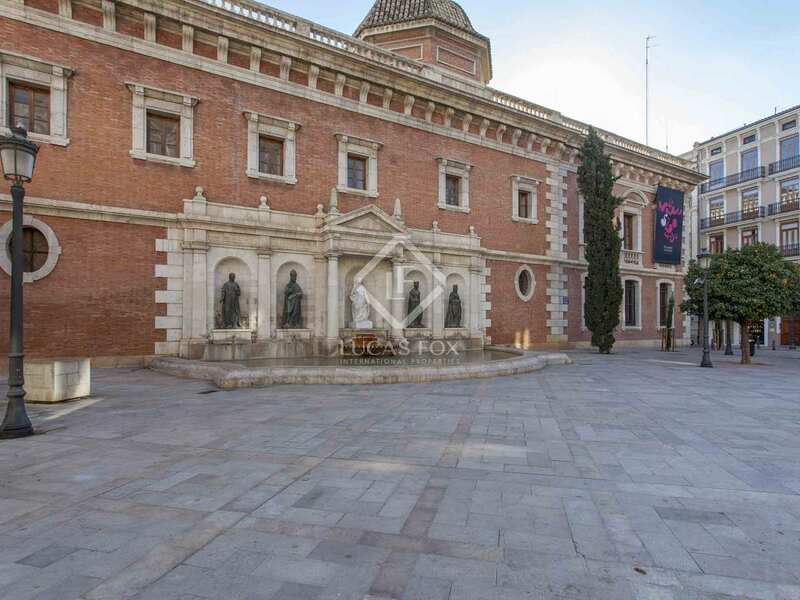 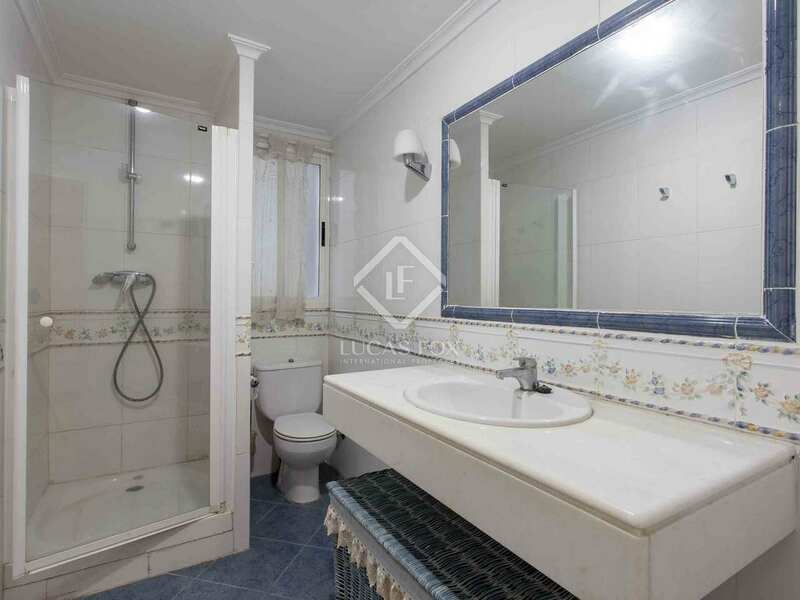 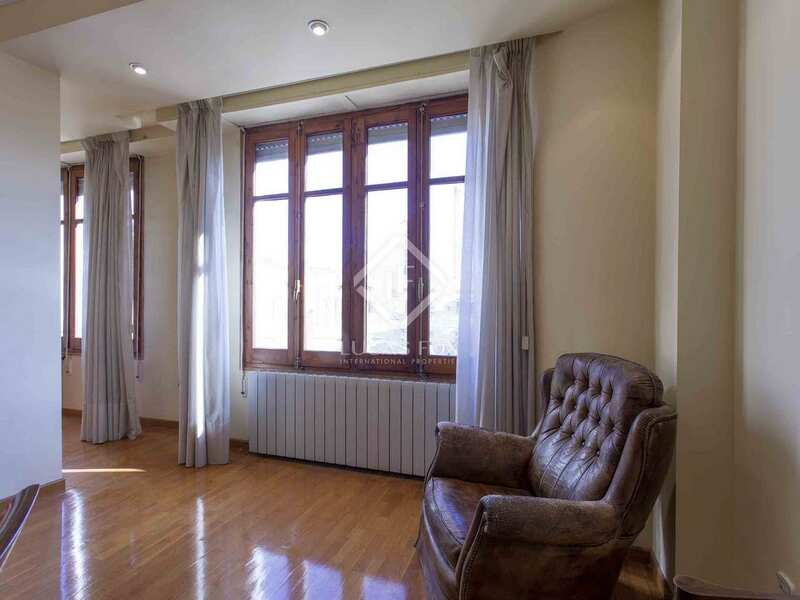 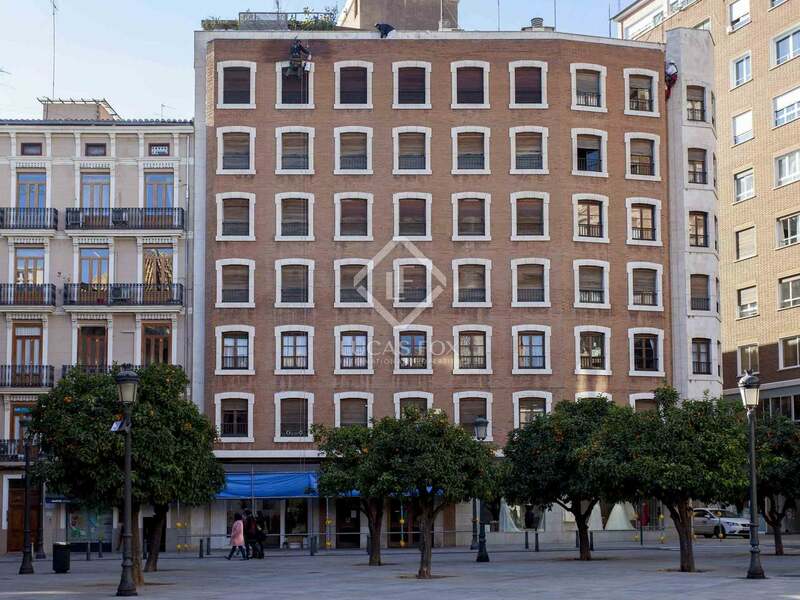 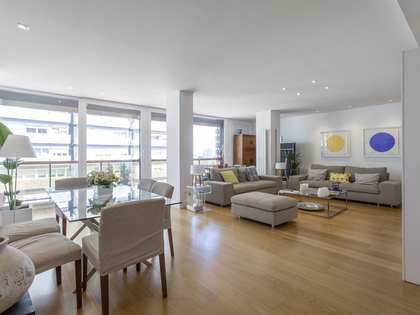 This property enjoys a privileged location on this emblematic square, known for its history, its beauty and the set of buildings and places that surround it in the historic centre of the city. 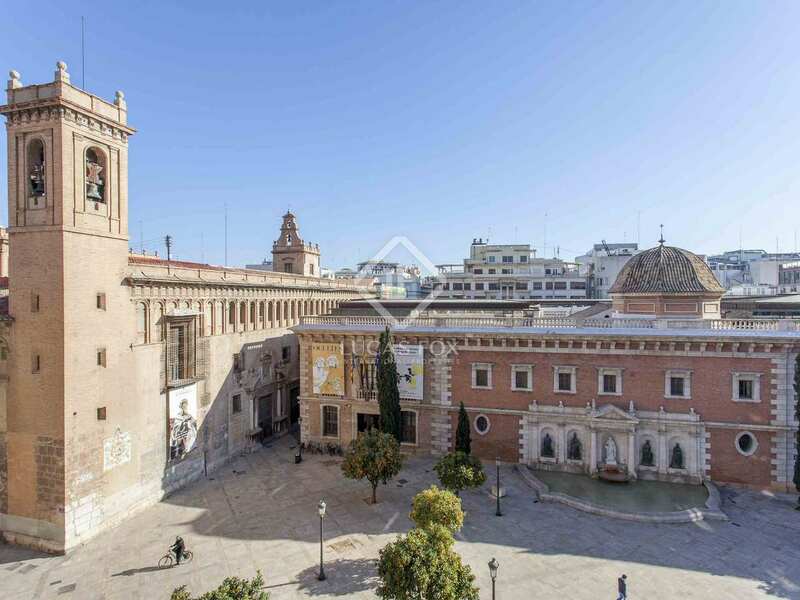 In addition, the city centre of Valencia is just a few steps away, so you can enjoy everything it offers without giving up the peace and tranquility offered in this neighbourhood. 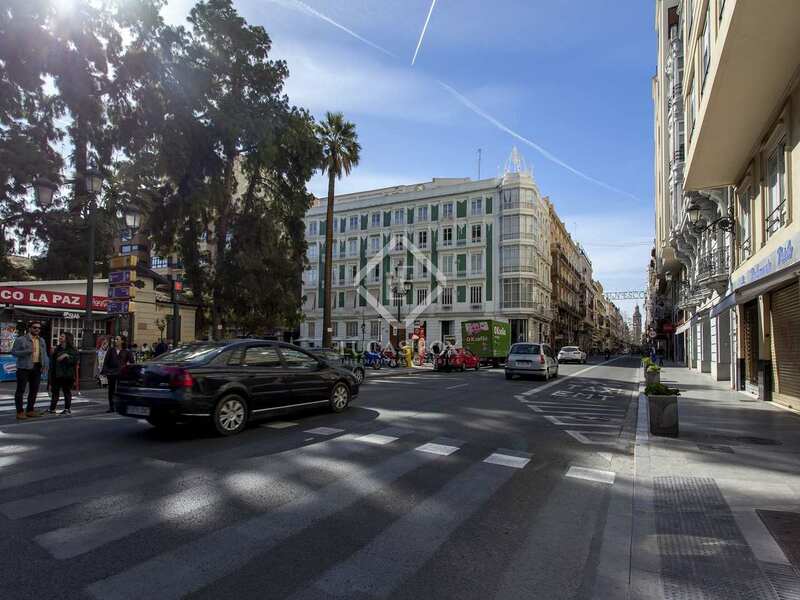 This area has all manner of shops, high quality restaurants and bars. 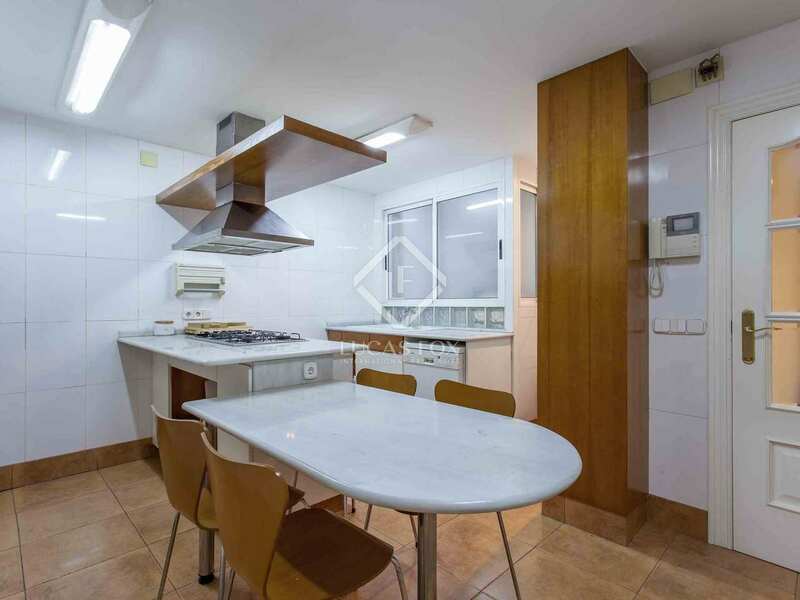 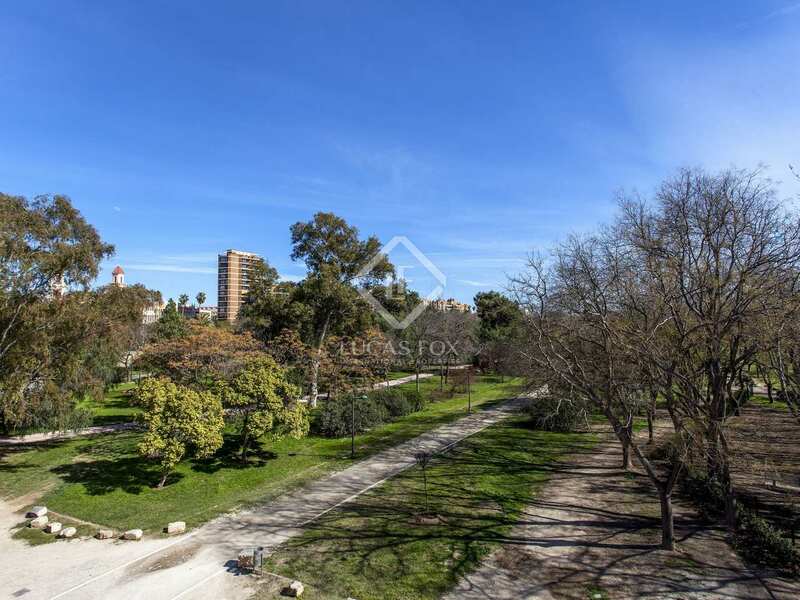 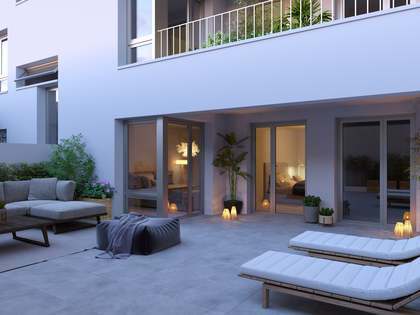 Furthermore, it is located next to the lush gardens of the Turia River, a green area of 7 kilometres that stretches along the old riverbed and is currently the perfect place to disconnect from the city or play sports. 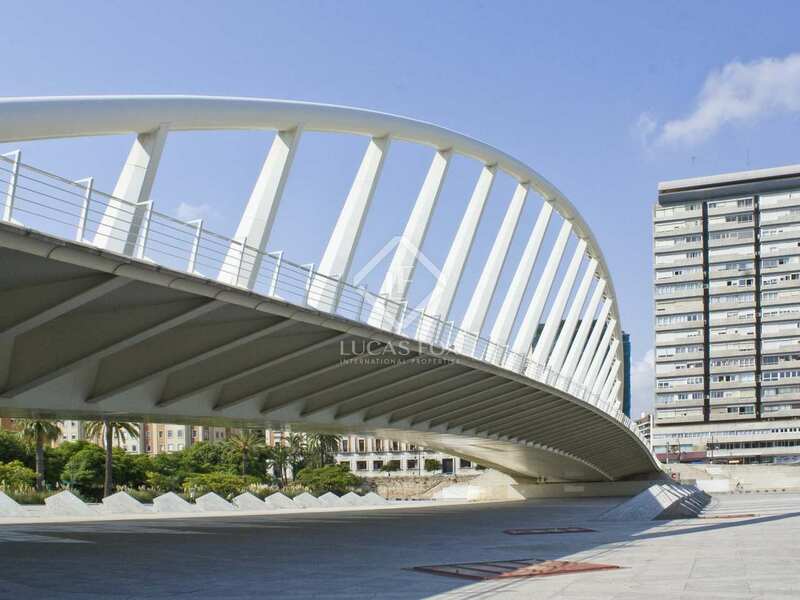 And of course, do not forget that the city has great beaches.